By famous and leading fashion lien Umbereen & Sharmeen, another most beautiful collection of winter dresses 2013-14 for women have released. This collection has dresses with full of elegant styles and looks. Umbren & Sharmeen is one of the most promising and talented fashion designer who has been working together since 1997 and they’ve launched many collections under their own fashion label since then. 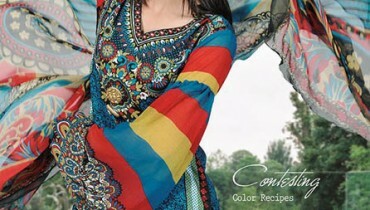 For young and modern girls, Umbreen & Sharmeen offers formal wear, casual wear and party wear dresses. With eastern and western cuts, they always designs their collection crafted. Umbreen & Sharmee gained always a good response after launching so many collections. Now they’re back with winter dresses 2013-14 for women after the great launch of summer collection. 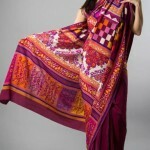 With awesome designs, the dresses of this collection have designed. This collection includes shirts, jumpsuits and tops with trousers and tights. White, grey, ferozi and many other colors are used for them. For parties and functions, Umbreen & Sharmeen has designed them. You can see them below.